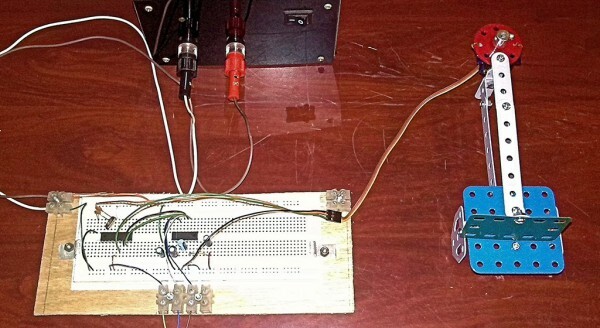 This is demonstration project to control servo motor movement using physical marker and normal video camera. In this project video camera capture the movements of marker and calculate rotation angle based on that. This calculated rotation angle is feed to the servo through small MCU based interfacing unit. In this project video processing and tracking is performed using ARToolkit and controlling of servo is carried out using PIC16F628A microcontroller. RS232 interface is use to communicate between PC and microcontroller. This entry was posted on Thursday, October 23rd, 2014 at 2:00 pm	and is filed under hacks, PIC. You can follow any responses to this entry through the RSS 2.0 feed. You can skip to the end and leave a response. Pinging is currently not allowed.